Real estate agents are playing second fiddle to the Internet. According to the 2013 Google/NAR study, “The Digital House Hunt,” 92 percent of homebuyers use the Internet to help them find their next home (by comparison, 87 percent use an agent). What’s more, the average homebuyer spends three weeks researching real estate online before even calling an agent. The takeaway? Homebuyers are turning to the Internet before they turn to real estate agents, so you need to have an online presence if you want them to find you and your listings. But just putting up a website and feeding your listings to the local MLS isn’t enough to round out your marketing strategy. Homebuyers are increasingly turning to video for house hunting, and video is proving to be one of the most effective ways to corner the online market. In 2012, the National Association of Realtors found that 85 percent of buyers and sellers prefer to work with an agent who uses video marketing, but only 15 percent of agents are actually using video. In other words, there’s a huge untapped audience out there, just waiting to watch your videos. 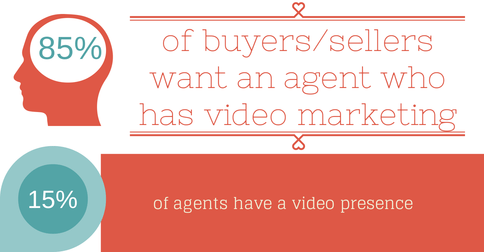 And since video-savvy agents are still very much in the minority, joining the video revolution gives you a major edge over your competitors. A study by international listing website Domain.com found that video increased listing inquiries by 403 percent. That’s inquiries, not just views. 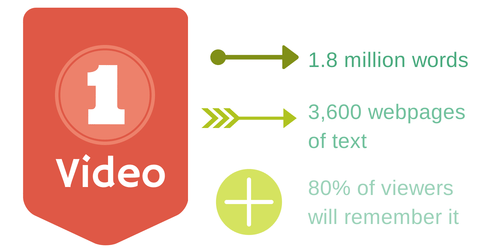 In other words, properties listed with video generated four times the number of quality leads. That’s not surprising, given the information density and memorability of video. You’ve heard that a picture is worth 1,000 words? Well, Forrester Research found that just one minute of video is worth 1.8 million words — that’s the same as roughly 3,600 Web pages of text. And according to the Online Publishers Association, 80 percent of viewers remember what they’ve seen in online videos. 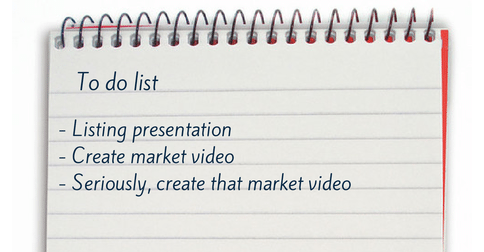 If you want buyers and sellers to not only remember you and your listings but do something about it, video is the way to go. If you’re like most agents, e-newsletters and email blasts are a big part of your marketing tool kit. We all know, though, that email marketing has its weak points. Plenty of people just delete marketing emails without reading them — and those who read the email won’t necessarily click through to your website or listing. You’re also struggling constantly against opt-outs. Video can help on both fronts. Forrester Research found that including video in marketing emails doubles click-through rates. And according to marketing automation firm Eloqua, video reduces email subscriber opt-outs by 75 percent. Add video to your marketing emails, and you’ll not only hold onto your audience, you’ll get more engagement. Are you sold yet? Come back next week to find out how to focus your video marketing efforts to get the biggest return on investment!